Apple sold more than 1 million copies of iPads in the first 3 months. This gadget is definitely more than just a larger version of iPhone or iPod touch. With 4x the screen of an iPhone, the iPad’s display is ideal for reading and for presentations. In today’s post, we’d like to highlight some really useful iPad applications that might replace the things you do daily with your laptop or netbook. With a piece of iPad and these applications, you probably don’t need to carry a laptop around. Here are 30 useful iPad applications for Business and Presentation you might find handy on your next project pitch or business trip. This entry was posted in Ipad, presentation tips and tagged iPad, Mac, presentation on January 14, 2014 by pptstar. If you have been working on a slideshow presentation with PowerPoint on a Mac running OS X, you might determine that you need to add some music to the slides. PowerPoint is part of Microsoft’s Office Suite for Mac, which includes applications for word processing and making spreadsheets. You can add music to a PowerPoint slideshow from GarageBand, Apple’s native application for creating songs, or from iTunes, Apple’s native application for ripping CDs, downloading songs from the iTunes Store and playing music. Music can provide atmosphere during your PowerPoint presentation to help increase audience interest while you present information to them. Step 1 Launch PowerPoint on your Mac and open the slideshow project to which you want to add music. Step 2 Click the slide in the presentation where you want the music to start playing. Step 3 Click “Media” under “Insert” on the “Home” tab at the top of the PowerPoint application window. Step 4Click “Audio From File.” You have the option of clicking a folder on your Mac containing a music file, or clicking “GarageBand” or “iTunes” to select music from one of Mac’s native audio applications. Step 5Navigate to the music file on your Mac, and then click “Insert.” The icon of a speaker appears on the slide to indicate that it has music. 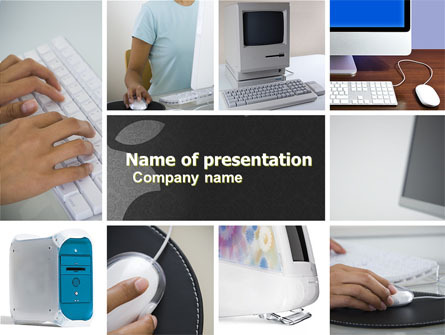 This entry was posted in PowerPoint use and tagged Mac, PowerPoint on January 14, 2014 by pptstar.